We go into many homes and see many things. We can help solve underlying problems that are the source and cause of mold. The health of our clients is serious business, which we take seriously. However, occasionally we see amusing things!! 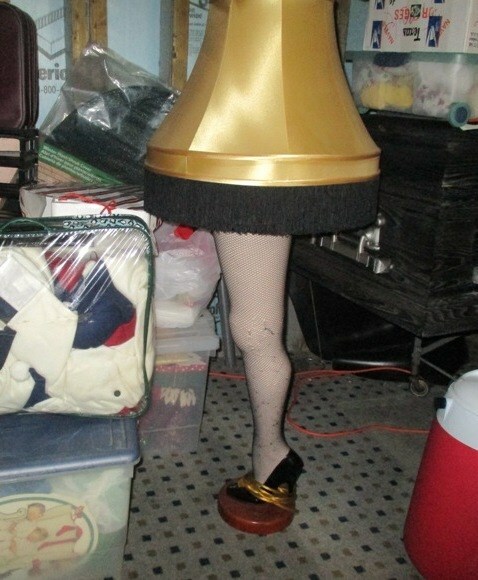 I spotted this Leg Lamp in a client’s basement. The client was tickled that I recognized the lamp identical to the one used in the 1983 iconic Christmas movie A Christmas Story.I asked if I could take a picture of the lamp and he said PLEASE DO IT AND USE IT! His wife objected to the lamp being on display just as Mother Parker did in the movie. He really would have liked it in his front window, but his wife objected. Sharing the picture was the best he could hope for. ..and yes, he did have mold too, but we fixed that problem.